A diverse mixture of ethnic groups created the soul and identity of Cleveland. It's one of the things that gives the city its interesting character, not to mention the array of ethnic foods, neighborhoods, and customs. 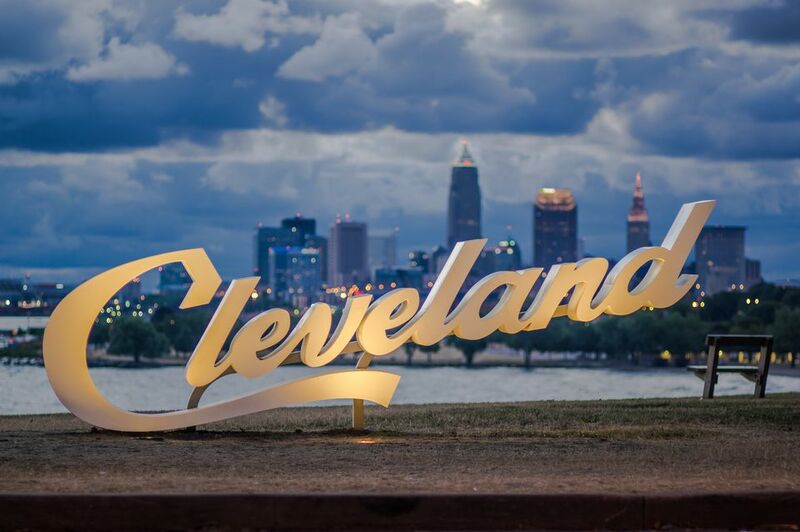 Here's a look at the major groups that have contributed to making Cleveland what it is today. For more about Cleveland's ethnic heritage, check out the Cleveland Memory Project. Cleveland's Polish immigrants started arriving in the mid-19th century, drawn by work in the rolling (steel) mills along the Cuyahoga River and the woolen mills. Along with the Czechs, they settled in the area surrounding the Cuyahoga Valley, in what's now called Slavic Village and Newburgh Heights. Polish is still spoken around Slavic Village, and food stores, such as the Seven Roses Deli, sell sausages, pierogi, and other Polish goodies. The Slavic Village neighborhood celebrates its heritage each May Day with a parade and each August at the Harvest Festival. St. Stanislaus Church, founded in 1888, was an early influence on this community and helped to support new arrivals. Immigrants from Italy began settling in Cleveland during the mid-19th century, in an area then-called Big Italy around Woodland and East 30th Street. Most of these early Italian residents were grocers, bakers, and shopkeepers. Very little remains of "Big Italy," but businesses like Gallucci's and Catalano's have their roots there. In the late 19th century, a different group of Italians settled in the area south of Euclid, near Mayfield, that is still known as Little Italy. Many of these new arrivals were stonemasons who carved monuments for nearby Lake View Cemetery. Today's Little Italy still retains the spirit of those first-generation Americans. The Irish were one of the first ethnic groups to settle in Cleveland, drawn by the jobs created by the Ohio-Erie Canal and the Cleveland docks. The first Irish immigrants settled at Whiskey Island (named by Lorenzo Carter, not the new inhabitants) in the early to mid-1820s. As work at the waterfront became more plentiful, hundreds of more Irish immigrants arrived from Europe, settling on the near West Side in and around today's Flats. St. Malachi's, still an Irish parish, was the centerpiece of that neighborhood. Cleveland still holds many reminders of those early settlers in the many Irish surnames, the annual St. Patrick's Day celebrations, and many Irish pubs. Early German residents in Northeast Ohio mostly came from Eastern states, descendants of those who came to the United States during the American Revolution. The construction of the Ohio-Erie Canal in the 1830s brought an influx of first-generation Germans, many of whom settled in today's Tremont neighborhood, on Lorain Street in Brooklyn, and around Superior and Central avenues on the East Side. Early German immigrants were skilled craftsmen, brewers, jewelers, and tailors, among other occupations. Cleveland's German neighborhoods are gone, but the city's German heritage can be seen at the Honsa Market on Lorain, near the West Side Market, and at the Zion UCC in Tremont. During much of the 20th century, Cleveland had the largest Slovenian community in the United States. Drawn to jobs in the steel mills, Slovenes began arriving in the late 19th century, settling in the Newburgh area. Other enclaves of Slovenes included the St. Clair Avenue area (from East 30th Street to East 79th Street.) and the Collinwood neighborhood. Later, many of Slovenian descent moved to Euclid, Ohio. Prominent Clevelanders who claim Slovenian descent include former Sen. George Voinovich and polka star Frankie Yankovic. A small but active Slovenian community still exists in Cleveland. Cleveland's Chinese heritage stems from a small but close-knit group of Cantonese that settled in near Public Square in the late 1860s. These early Chinese residents were mostly restaurant owners and workers. As downtown Cleveland grew, this community moved east, first to the area around East 55th Street and Euclid Avenue and in the 1930s to Cleveland's Chinatown (now Asiatown), around Rockwell and East 24th Street. The 1970s and 1980s brought an influx of younger Chinese immigrants, who were drawn to Cleveland's universities and jobs in engineering and technology. Today, Cleveland's Asiatown is filled with Chinese-American-owned restaurants and Chinese food stores and is experiencing a rebirth as a residential neighborhood. The Czechs are one of the largest and oldest of Cleveland's ethnic groups. These immigrants, made up of Bohemians, Moravians, and Silesians, began arriving in the late 19th century. Early Czechs settled in a section of the waterfront today called the Flats. Later arrivals moved further out from the city where they could have a plot of land to grow vegetables, settling around Broadway and Fleet Avenue and near West 41st Street and Clark Avenue. Both of these areas still have a strong, minority Czech-American population. Czech culture can still be found at churches, such as St. John Napomocene on Fleet Avenue and Karlin Hall social club, also in the Slavic Village neighborhood. Cleveland's first Ukrainian immigrants began arriving in the area in the mid-1870s, settling primarily in the Tremont neighborhood. Later waves of immigrants came to Cleveland between World War I and World War II and after the collapse of the Soviet Union. More recent immigrants have created a Ukrainian enclave in Parma, just south of Cleveland. This active community has three radio programs and three newspapers in Ukrainian as well as a Ukrainian Museum on Kenilworth Avenue in Tremont. Some area churches hold services in Ukrainian; these include Sts. Peter and Paul in Tremont and St. Josaphat in Parma. In the early 20th century, Cleveland had the largest Hungarian population outside of Hungary. Beginning in 1870, scores of Hungarians immigrated to Northeast Ohio to work in the foundries and machine shops sprouting up in the area. Many Hungarian neighborhoods formed, the two largest of which were around East 79th Street and Woodland Avenue and along Buckeye Road. The events following World War II and the 1956 Hungarian Revolution brought additional waves of immigrants. Today, Cleveland's Hungarian culture is visible at the Hungarian garden in the Cleveland Cultural Gardens, at the Hungarian Heritage Museum, and at restaurants like Balaton's on Shaker Square (originally on Buckeye Road). Cleveland's black heritage is almost as old as the city itself. The first African-American settler, George Peake, arrived in Cleveland in 1809, just 13 years after Moses Cleaveland founded the city in 1796. Since then Cleveland's African-American residents have played an important part in the city's development. They include Carl Stokes, the city's first African-American mayor. Cleveland's black citizens arrived in two major waves, coming mostly from the American South. The first wave came from 1890 to 1915 and settled primarily along Central Avenue, between downtown and East 40th Street. Later, between 1940 and 1960, the second wave of African-Americans arrived, part of the Great Migration. Cleveland's small number of Korean immigrants began arriving in Northeast Ohio at the end of the Korean War in 1953. A larger number of Koreans arrived gradually during the 1970s and 1980s. These new arrivals were primarily students, physicians, and engineers. Since Cleveland's Korean immigrants arrived gradually, they settled all over the city, rather than in one central neighborhood. Korean culture is visible in the six Korean-American churches in the city, including St. Andrew Kim Korean Catholic Church in Tremont. Croatia is a southern Slavic region of Europe, a tumultuous region, especially in the 20th century. At the time of the 1990 census, Cleveland had the fourth largest Croatian community in the U.S. These immigrants began arriving in the 1860s, settling with the Slovenes around St. Clair Avenue, from East Ninth to East 79th streets. Most of the early Croatian immigrants were unskilled workers who found jobs in the steel mills and machine shops. A later wave of mostly young, highly educated professional Croatians arrived after World War II, fleeing the communist rule of Yugoslavia. Today, Croatian culture is visible at the newly built Croatian National Home in Eastlake and churches, such as St. Nicholas, on Superior Avenue. Cleveland's Greek community is a relatively small but very close-knit one. Immigrants from Greece began arriving in Cleveland in the 1880s, settling around Bolivar and Ontario avenues in the area called Gateway. Later arrivals in the early 20th century settled in Tremont and founded the Church of the Annunciation, which still thrives today. Many Greek immigrants became small business owners, opening coffee shops, confectionaries, restaurants, and small groceries. A large number of these establishments are still owned by those of Greek descent. As with other Eastern European ethnic groups, the first wave of Lithuanian immigrants arrived in Northeast Ohio in the late 19th century, drawn by jobs in the manufacturing sector. These early arrivals settled around St. Clair Avenue, from Rockwell to East 71st Street. Their parish, St. George's Lithuanian Church at East 67th Street and Superior Avenue, was founded in 1895 and is still very much alive. Today, Lithuanian culture can be found at the annual E. 185th Street Festival and in the Lithuanian collection at Kent State University. Puerto Ricans make up the majority, about 85 percent, of Cleveland's Hispanic community. This group began arriving on the North Coast from 1945 and that migration continued until 1965; they were recruited to work in the area's factories and greenhouses. Early arrivals settled on Cleveland's east side, around Hough, Lexington, and Superior avenues. In the late 1950s, Cleveland's Puerto Rican community moved to the near west city, around West Fifth to West 65th streets, between Detroit Road and Clark Avenue. A large number of those of Puerto Rican descent still call this area home. Today, Cleveland's Puerto Rican culture can be found in the many Hispanic food stores on the near west side and the Puerto Rican festival, held each August. Cleveland's more than 2,000 Vietnamese residents began arriving in Northeast Ohio after the fall of Saigon on April 30, 1975, the event that marked the reunification of Vietnam and the end of democratic South Vietnam. Most of these immigrants settled in the Detroit/Shoreway neighborhood, along with Madison, Franklin, and Detroit avenues. Today, Cleveland's Vietnamese heritage can be seen at St. Stephen's Church on West 54th Street, at the annual Tet celebration in February, and in the many Vietnamese restaurants in the city, including #1 Pho. Immigrants from the Middle East began arriving in Cleveland as early as 1895, most escaping the turmoil in the region that led up to World War I. Most of the early Arab settlers came from Greater Syria (a country that included today's Lebanon) and, unlike much of the Arab world, were Christians. These immigrants settled around Bolivar Avenue in downtown Cleveland and in Tremont. The second wave of Arab immigrants arrived in Cleveland after the founding of Israel in 1948, and these immigrants were mostly displaced Palestinians. Today, the city's Arab heritage can be seen in the markets around the West Side Market and in the churches, especially St. Maron's on Carnegie and St. George Antiochian Orthodox Church in Tremont.